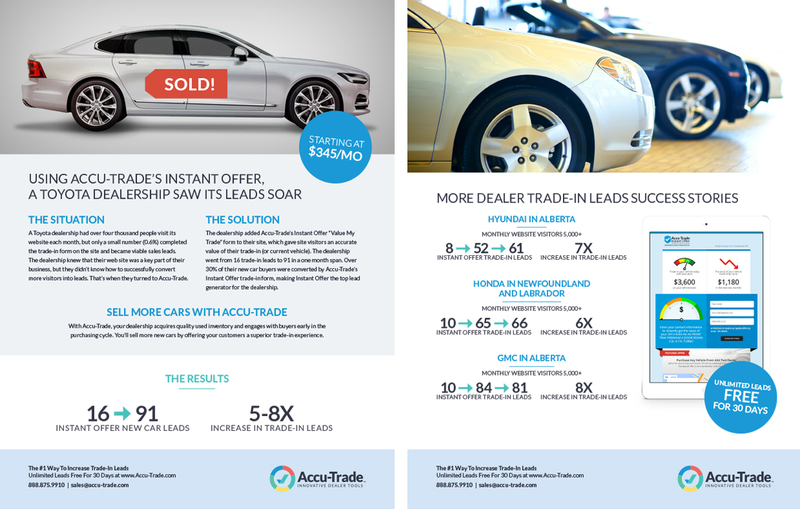 The largest independent automotive wholesaler in the United States looked north for help with its latest spinoff, Accu-Trade. The company provides sales tools for auto dealers that help convert web site visitors into leads by offering a consumer-friendly trade-in value range. For dealers, its Appraiser Pro product provides remarkably accurate vehicle valuations for trade-ins, ensuring everyone gets a fair price. Bonfire worked with Accu-Trade’s team in California and Canada to refine the messaging around the product offering, build a web site, develop ads and content, and create sales materials.